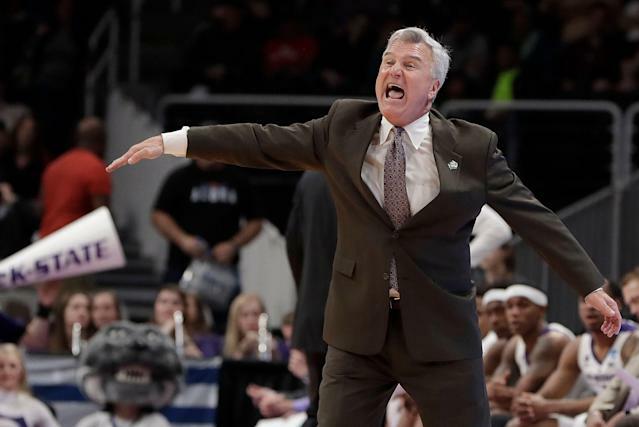 If Kansas State is trying to assess why it failed to advance beyond the first round of the NCAA tournament, the Wildcats should start by re-examining an antiquated decision coach Bruce Weber made. Weber needlessly sat first-team all-Big 12 guard Barry Brown for the rest of the first half after he picked up his second foul less than six minutes into the game. Thirteenth-seeded UC Irvine took advantage of Brown’s absence, erasing a 10-point deficit by holding Kansas State’s anemic offense without a field goal for the final six minutes before halftime. Brown then struggled to generate any second-half rhythm after sitting so long, finishing a 70-64 loss with just five points and still only two fouls. Asked at halftime about benching Brown for so long by Turner Sports sideline reporter Rosalyn Gold-Onwude, Weber told her, “As long as we were ahead, we were going to keep him on the bench.” The Kansas State coach reiterated that stance during his postgame news conference as well. “I thought as long as we were staying ahead we could stay without him,” Weber said. Weber deserves ample praise for overcoming injuries to guide Kansas State to a share of a Big 12 title this season, but his inflexibility handling Brown’s foul trouble Friday afternoon was a costly mistake. 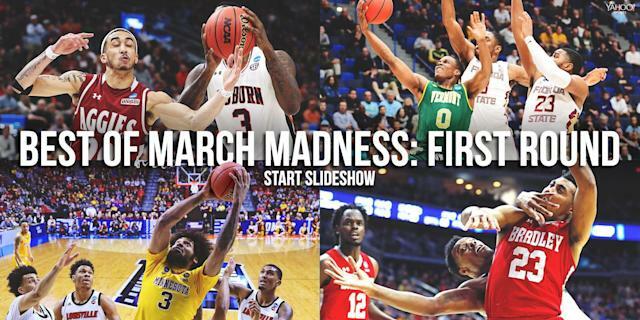 Fear of Brown picking up a third first-half foul isn’t sufficient reason to bench him for that long given the senior’s foul history, Kansas State’s reliance on him and the quality of the Wildcats’ opponent. Brown is an experienced veteran who averaged 2.4 fouls per 40 minutes this season and has fouled out of just three times in the past four years. He had given his head coach no reason not to trust him to play through foul trouble on a day when Kansas State badly needed him. A big, experienced team that leads the nation in two-point field-goal percentage defense and excels at altering shots around the rim, UC Irvine in many ways is built to give Kansas State fits. The Wildcats are a poor perimeter shooting team, a flaw further exacerbated by the absence of standout forward and pick-and-pop specialist Dean Wade due to injury. While driving lanes for Kansas State were scarce against UC Irvine’s tightly packed zone defense, Brown might have been able to slither through them often enough to help the Wildcats maintain a slight halftime lead. The Big 12’s defensive player of the year also undoubtedly would have made some difference guarding UC Irvine perimeter standouts Max Hazzard and Evan Leonard were he on the floor. Instead Brown sat while UC Irvine gained confidence. Then he couldn’t seem to get anything going during a cold-shooting second half. The defining play of the game for Brown arrived in the final minute with Kansas State still within two. Brown tried to kick to teammate Cartier Diarra spotted up behind the arc, but a miscommunication led to the pass sailing into the Kansas State bench for an ill-timed turnover. There’s no denying Kansas State lost against UC Irvine for a myriad of reasons, not just Weber mishandling Brown’s foul trouble. The Wildcats shot poorly from the perimeter, turned the ball over too often and missed Wade’s ability to draw opposing big men out of the paint. Meanwhile, the Anteaters played with poise, defended relentlessly and hit some big threes down the stretch. There’s also no denying that figuring out when to sit foul-plagued players isn’t easy. Heck, UC Irvine coach Russell Turner benched guard Robert Cartwright for much of the first half with two fouls, and nobody will criticize him for it. But with all the data available these days, it seems fair to expect coaches to avoid automatically removing a star with two early fouls without considering the context of the situation. Weber’s mishandling of Brown’s foul trouble during Kansas State’s surprising first-round exit is further proof of that.